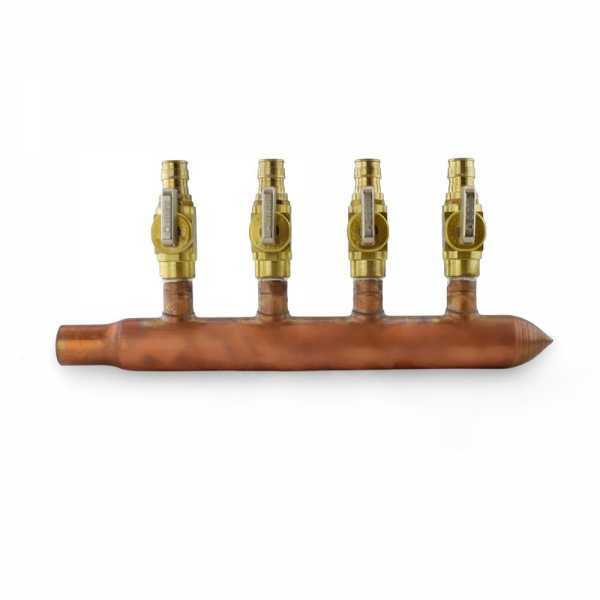 The 672WV0430 from Sioux Chief is a 4-branch Copper Manifold with 1/2” PEX-A Valves, 3/4” Male sweat, and closed. 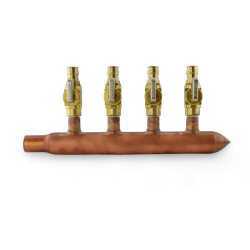 PEX manifolds are an increasingly popular way to distribute water throughout the building. 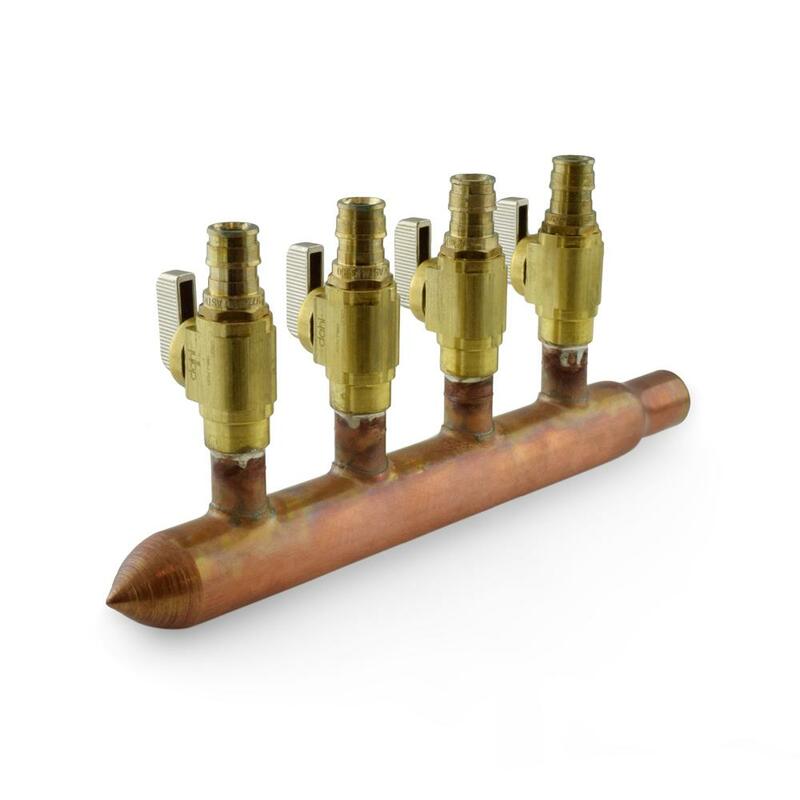 Great for radiant and hydronic heating systems. Installed using expansion method (expansion tools and rings). 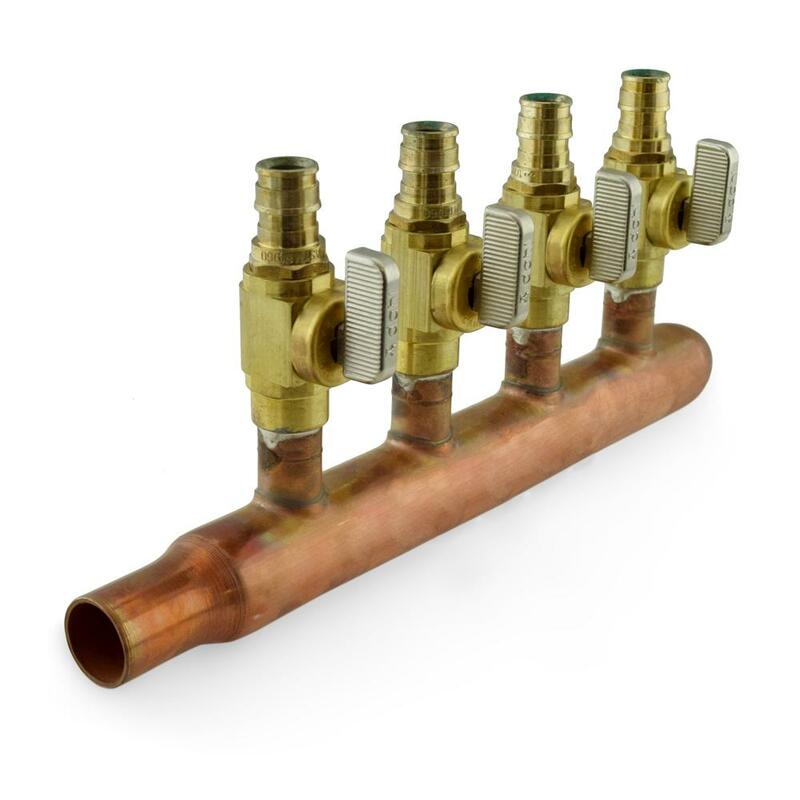 Compatible with PEX-A tubing only. (4) 1/2” PEX expansion valves and (1) 3/4” male sweat. 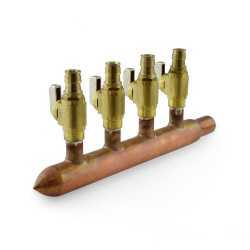 •Suitable for potable water use.